One of the most visible impacts of capitalist globalisation has been the massive expansion of low-paid (and often semi-casual) jobs in the service sector. This “precarious” employment — in bars, restaurants, nightclubs, hotels, fast-food chains, supermarkets, high-street retailers, call centres and elsewhere — means long hours, barely-legal wages and unsafe working conditions. Young people fill these jobs. London Young Labour’s AGM on 31 March was billed by its organisers as “a packed day of elections and debates that will set the political direction of the organisation for the year”. But the only debate that took place was on the single motion to be heard: a statement in support of the Labour leadership’s Brexit strategy, out of date since the indicative votes took place in Parliament last week. Eleanor Buffery is a year 8 school student in Gloucester who organised the local youth strike for climate. She spoke to Maisie Sanders. I found out about the strikes in the local and national news and I thought it was really important. I read more about it, talked to my friends and we decided to take action! 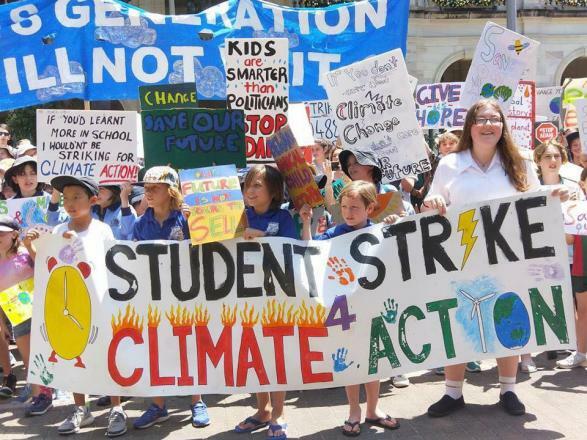 I got in touch with Youth Strike for Climate nationally, set up a social media page and got started organising our own strike. In the run-up to the huge anti-Brexit protest on 23 March Young Labour member Alex Fernandes replied to NEC youth rep Lara McNeill’s article “I’m Labour’s NEC [National Executive] youth rep – and I won’t be at the People’s Vote march”. 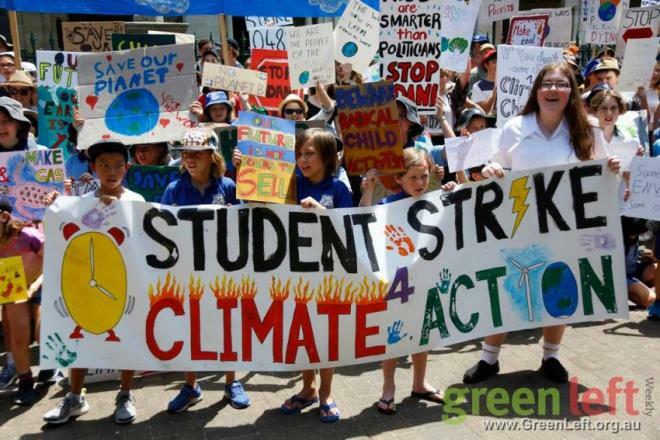 The best guess is that one and half million students, in over 120 countries, struck on Friday 15 March to demand that their governments start emergency action on climate change. In London, the central rally of school students in Parliament Square was 4,000 or more. Everyone we talked with said there was no ongoing organisation in their school for the walkout. They’d found out about it on social media and come with their friends. There were also sizeable groups of university students at Parliament Square. Occasionally, just occasionally, there are weeks full of silver linings. 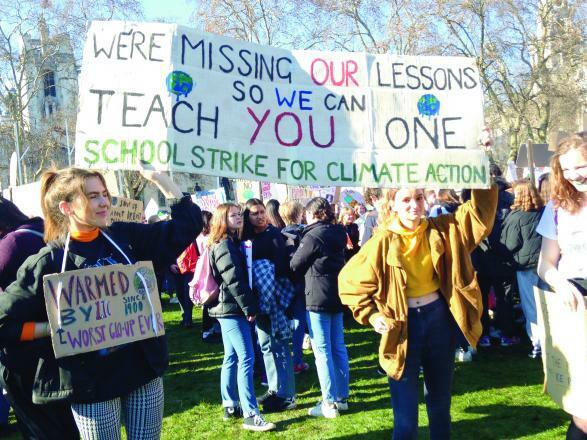 The one that saw Britain's first nationwide schools climate strikes was definitely one of them. When Greta Thunberg began her lone climate protest outside the Swedish Parliament last August she was not to know that, within 6 months there would be 70,000 pupils a week, across 270 towns and cities worldwide, who would be joining her. Their message was simple: "Wake up! There's a climate emergency." If you had followed the week's debates in Britain's Parliament you wouldn't have guessed. Schools climate strike: build now for 15 March! 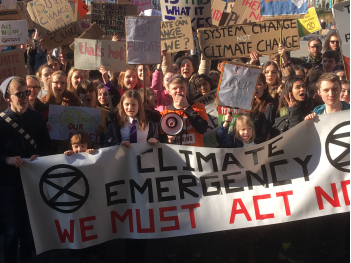 Tens of thousands of young people joined the Youth Strike for Climate school walkouts on Friday 18 February in town centres and outside schools across the UK. It was organised as part of the Fridays for Future school walkouts started by Swedish school student Greta Thurnberg, which have now gone global. Read more about Schools climate strike: build now for 15 March! 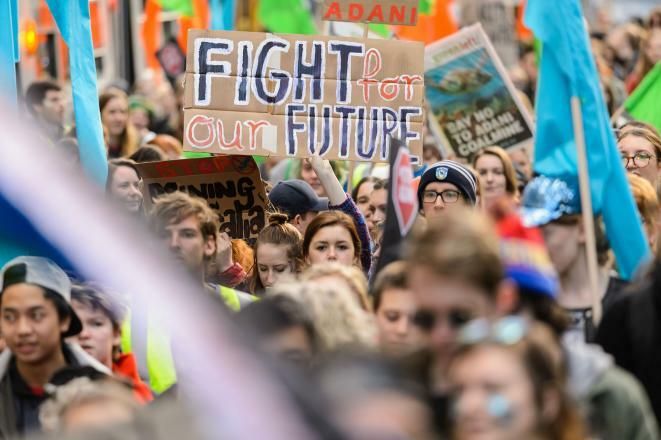 Lilly Murphy, a year 9 student in Melbourne who was involved in the 30 November Australian school students’ strike for climate action, talked with Workers’ Liberty Australia. This Labour Club believes antisemitism is an ideological poison which, by seeking to explain the world in conspiratorial terms and pose as a politics of resistance to the powers-that-be, is particularly and specifically toxic for the left. The Israeli army has killed 44 Palestinians, and injured hundreds more, after Israeli Defence Force (IDF) snipers opened fire on demonstrations on Israel’s border with the Palestinian territory of Gaza, on Fridays between 30 March and 27 April. One protestor, 18-year-old Abdel Fattah Abdel Nabi, was shot in the back as he turned to flee IDF fire. Another victim was Gazan journalist Yaser Murtaja, killed by a bullet to the abdomen underneath his bullet-proof vest clearly marking him out as a member of the press.